The working class in New York City was remade in the mid-nineteenth century. In the 1820s a substantial majority of city artisans were native-born; by the 1850s three-quarters of the city's laboring men and women were immigrants. How did the influx of this large group of young adults affect the city's working class? What determined the texture of working-class life during the antebellum period? Ri… chard Stott addresses these questions as he explores the social and economic dimensions of working-class culture. Working-class culture, Stott maintains, is grounded in the material environment, and when work, population, consumption, and the uses of urban space change as rapidly as they did in the mid-nineteenth century, culture will be transformed. 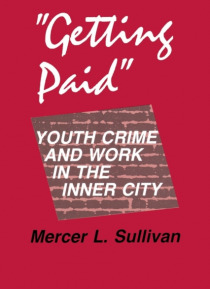 Using workers' first-person accounts-letters, diaries, and reminiscences-as evidence, and focusing on such diverse topics as neighborhoods, diet, saloons, and dialect, he traces the rise of a new, youth-oriented working-class culture. By illuminating the everyday experiences of city workers, he shows that the culture emerging in the 1850s was a culture clearly different from that of native-born artisans of an earlier period and from that of the middle class as well.